Welcome to Prepaid Phone News' regular Sunday Prepaid Phones on Sale this Week post featuring all the best current US prepaid and unlocked phone deals. 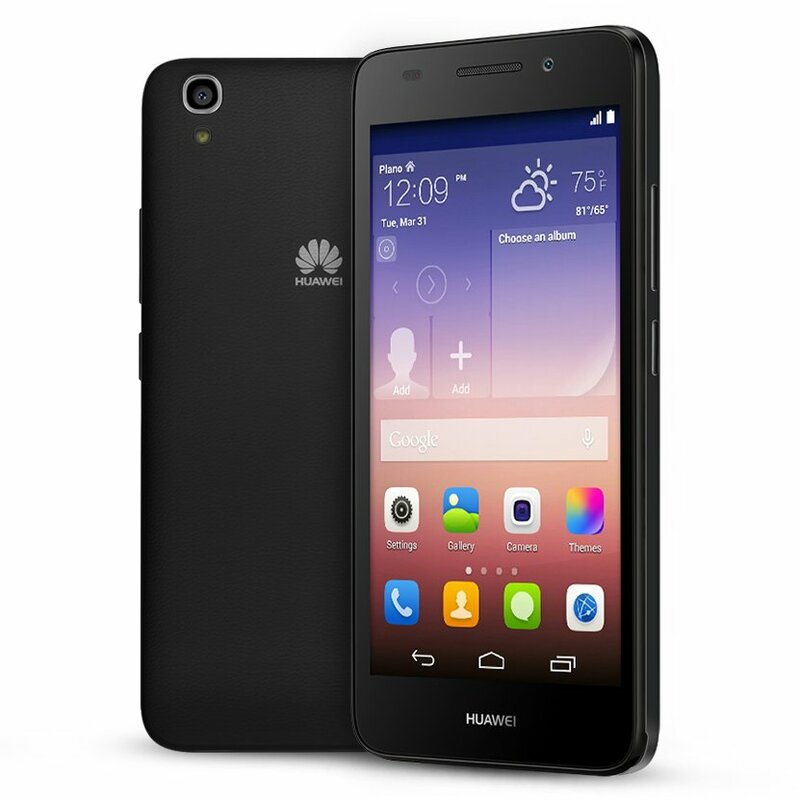 This week's Deal of the Week is the Huawei SnapTo LTE Android phone that T-Mobile MVNO PTel is selling for $119.99. The SnapTo, which lists for $179.99, is one of the new crop of affordable, but capable unlocked phones that also includes the Motorola Moto G and ASUS ZenFone 2. It runs Android KitKat and features a 5 inch 1280x720 HD screen, 1.2 Ghz quadcore Snapdragon 400 CPU, 1 GB RAM, 8 GB internal memory, SD card slot and 5 MP main and 2 MP front facing cameras. The phone supports all of T-Mobiles 2G, 3G and LTE bands, including the new LTE band 12. It also supports all of AT&T's current bands but not band 29, which AT&T plans to begin using this year. A Prepaid Phone News reader who purchased a SnapTo from PTEL has confirmed that it is unlocked. Current PTel customers can get the SnapTo for just $89.25 by logging in their account and using 25% off promo code PTBTS25. If you aren't a PTel customer, PTel requires the purchase of a $4.99 SIM and $10 or higher airtime PIN bringing the total to $100.49 with PTBTS25. Free $20 Gift Card with purchase of select phones and $25 or higher prepaid card for AT&T GoPhone. Eligible phones are the $49.99 ZTE Compel, $59.99 ZTE Maven, $69.99 Nokia Lumia 635, $74.99 Motorola Moto E, $169.99 HTC Desire 610, and $199.99 ASUS PadFone X Mini. online only. Unlocked LG G4 H815 LTE Android phone (new) $479.90 free shipping. This is a UK model that supports all of AT&T's bands and all of T-Mobile's except 3G on AWS and band 12 LTE. Free shipping. Verizon (or PagePlus) Motorola Moto G (1st gen) Android phone (manufacturer refurbished) $34.99 Free shipping. Verizon (or PagePlus) Samsung Galaxy S4 i545 16 GB LTE Android phone (manufacturer refurbished) $139.89 Free shipping. Verizon (or PagePlus) Samsung Galaxy S4 I545 LTE Android phone (new) $199.95 Free shipping. Verizon (or PagePlus) Samsung Galaxy S5 SM-G900V 32 GB LTE Android phone (seller refurbished) $199.99 Free shipping. Rebates are instant in-store mail in for online purchase. Mail-in rebates require 2 months paid service. Current customers can use promo code PTBTS25 for 25% off a new phone without the need to purchase a plan but must be logged in to do so. Some items have very limited availability. Use Brickseek's Target Inventory Checker to check for price and availability in your area by DPCI number (after price in listings below). T-Mobile 30% off select T-Mobile prepaid devices with purchase of a $10 or higher T-Mobile airtime card, in stores only. Eligible devices include the $149.99 LG L90, $59.99 Alcatel Evolve 2, $49.99 ZTE Z64 hotspot, $49.99 Microsoft Lumia 435, $39.99 ZTE Zinger, $14.99 Kyocera Rally and $10 T-Mobile Prepaid SIM Activation Kit. Samsung Galaxy S5 LTE Android phone $399, $299 refurbished. 3-in-1 SIM Activation Kit (nano SIM with mini and micro adapters) 99¢ with code SIM99 (reg $15) ends 8/31. LG Leon LTE Android phone $129.99 with $40 airtime card (reg $179.99 w/o airtime) $74.99 rebate available after 2 months service on $40 or higher plan. Tracfone Free overnight shipping on orders of $19.99 (ends 9/9). Free overnight shipping of SIM orders (ends 8/31). Updated 8/27: New Verizon deals. Thanks Dennis for the credit. Yes I but the snap to last week and can confirm that it works on AT&T and T-Mobile. It's a great deal for a factory unlock phone. the snapto deal sounds interesting but it would be more attractive it was going to get Lollipop 5.1- (but updates do not seem to happen with Huwei or ZTE phones). It's here. Still listed on eBay but not currently available "This seller is currently away, and is not processing orders at this time. You can add this item to your watch list to purchase later." Review for SnapTo - I'll pass - http://www.cnet.com/products/huawei-snapto/#! The Verizon Upgrade assistant should work. Your phone not being recognized is a driver issue. Try rebooting your PC and connecting the phone to a different USB port. Then wait for Windows to find and install drivers before trying to connect to the phone with the Upgrade Assistant. I update my snapto to lollipop 5.0 and running smoothly. All you have to do is go to XDA forums and root and then update phone. Thanks Dennis. I did try rebooting and using a different port. The computer recognizes the phone is connected but the verizon support assistant does not. It just sits there telling me to connect my phone. Thanks Dennis, I looked through that discussion and used a combination of different ideas and got it to recognize. Now it says that it is up to date, but I am on kit Kat still, so I have no idea what is wrong. Hey Dennis, can I activate an LTE phone on verizon pay as you go? I was thinking if I activate my G3 on the $0.99/day plan I should get the OTA update. I hope. And then I would switch back to my old service once the update was completed. A Verizon LTE phone can be activated on a Verizon Prepaid Smartphone plan but not on Verizon Pay As You Go. ZTE phones have dominated CNET's annual list of worst phones for 5 years. ZTE and Huawei got caught including spyware in their networking equipment in 2012 then lied to Congress about it. Google it. Any phone at full price is better than a free ZTE phone. Aside from this, just check Amazon ZTE phone ratings are rather low. Noticably lower than reviews of any other brand I chose to spot check: Samsung, HTC, LG, Apple... and even Xiaomi. I Snapto comes with a 2 year warranty from the time you bought it. How many cell phone you know comes with a 2 year warranty. For 90 its a steal and factory unlock too on top. No budget phone is going to beat this price and warranty I can tell you that. The warranty is a gimmick. Huawei never honors their warranty. I get more customer returns of Huawei phones than any other brand. Considering their small US market share, that speaks to the lack of quality in Huawei products. That not true at all. I have a Huawei Ascend Mate 2 that was that was not working right. I could not hear anything from the speaker. I sent for Warranty repair and got it back in a timely manner. All fix and working good now without any problems. So Huawei might be small here in the US not they do honer their warranty. I see where Cricket has announced new add-on options to its international calling by adding 9 new countries in Central and South America today. That's a good thing. I wouldn't use it, but it is a good thing. I'm not like one of those T-Mobile fanboys/zealots who claims that having something they supposedly wouldn't use (like coverage to the 2/3 of the country not covered by T-Mobile but covered by two other networks) is actually a drawback. off topic question here......As a virgin mobile user I have noticed that their selection of android phones has gotten smaller and smaller...even pulling off phones like the lg volt altogether from their selection....at the same time they are not adding new phones at the pace they used to while sister company boost mobile keeps getting a bigger and better selection of android phones......do you have any idea as to why this is happening? Sprint's obviously been neglecting Virgin lately. I don't know whether this is due to incompetence or if they have a plan. If they have a plan I think it's to turn Virgin into a low end brand to be sold only at big box stores with mostly sub $100 phones. But it that's the case why did they bring back the iPhones. Why are you even still in virgin mobile? I saw the writing on the wall with this stuff a while back and jumped ship. Walmart - Net 10 LG Sunrise $19.99 (AT&T) - Online Only. Huawei never honors their warranties. The story about the HAM 2 runs contrary to everything I have read about Huawei and my personal experience. How good are Verizon CPO phones? Do they include a new battery? Does anyone know what GSM and LTE bands the Verizon Note 3 supports? I wonder if it works well on ATT or T-MOBILE? Verizon CPO phones have an excellent reputation with multiple users saying their's appear brand new. I don't know about the battery but I suspect they are tested and replaced if necessary. Amazon is having trouble moving Fire phones, so there are some good deals. $147 gets you a new, unlocked 32 GB model with one year of Amazon Prime. Virgin mobile finally updated there plans with more data.